Its called prep work for the pool. Its summer. 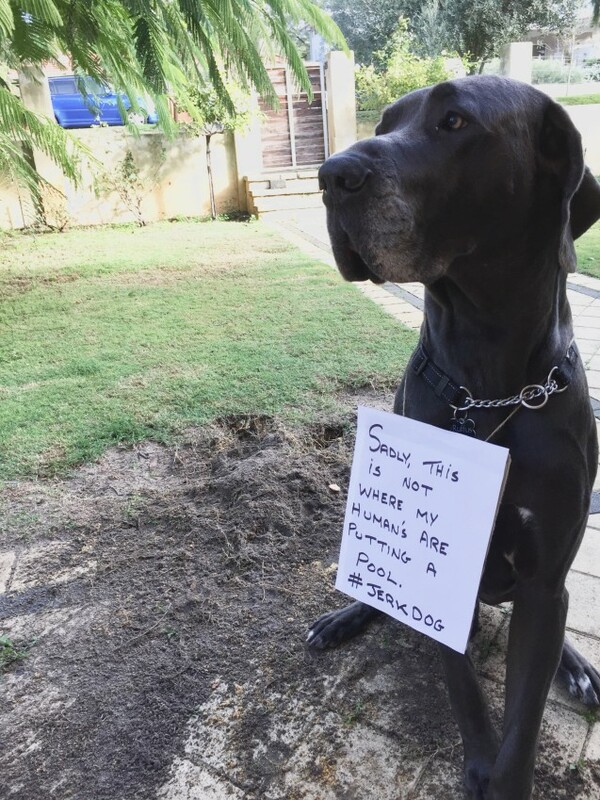 He want’s a pool. He’s not a jerk ! He says “Ok, then this is where the tiki bar goes.” What a handsome pup!